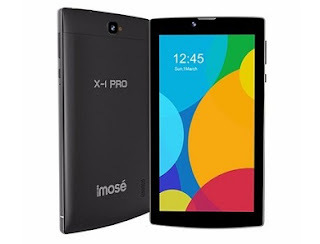 The iMose X-1 Pro tablet has been officially launched. It's a 7 inches tablet with 2G & 3G network. It is said to be one of the cheapest tablet out there, with a quad-core 1.2 GHz processor, and a pocket-friendly design. Have a look at the full specifications and price below. Launch Price: $96 (about N30,000 in Nigeria).